Hello lovelies! How are things? This week has been about nice things for me. I had to include a couple of extra photos to show the ‘niceness’! We are having a long weekend in Melbourne to celebrate the running of the Melbourne Cup. We’re not horse racy fans in our house but a break from the school day, work day routine is much appreciated. We’re not completely chilled because it’s also assessment time in the academic year, so my boy and girl are busily writing essays and studying for exams. That’s always a bit intense, isn’t it? Two more weeks and it will all be done. Phew! A few weeks ago, I wrote about rediscovering our local library. This week I had to return my books and find something new to read. 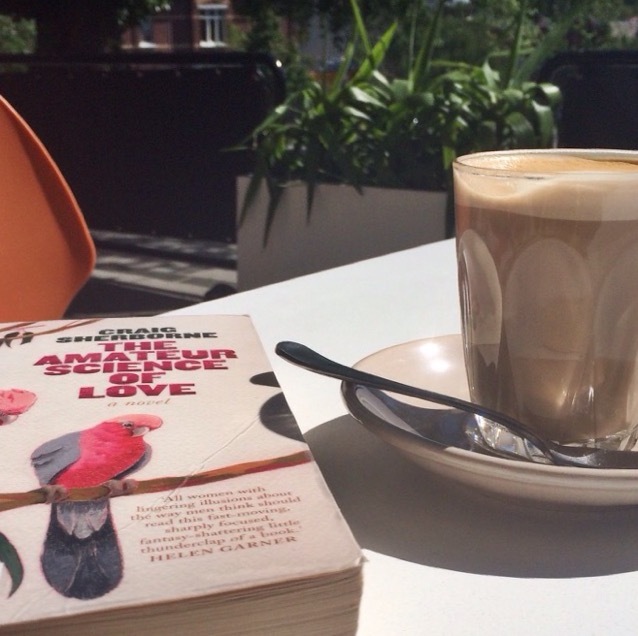 It was a beautiful, sunshiny day so I decided to have a little bit of ‘me time’ and have a sit outside with a coffee and the first chapter of my book. Nice! When my boy was quite sick a few years ago, one of my lovely friends would arrive on my doorstep with meals and home baked goodies. She was a godsend. It was so comforting to come home after a day spent in the hospital and be wrapped in her foodie love. 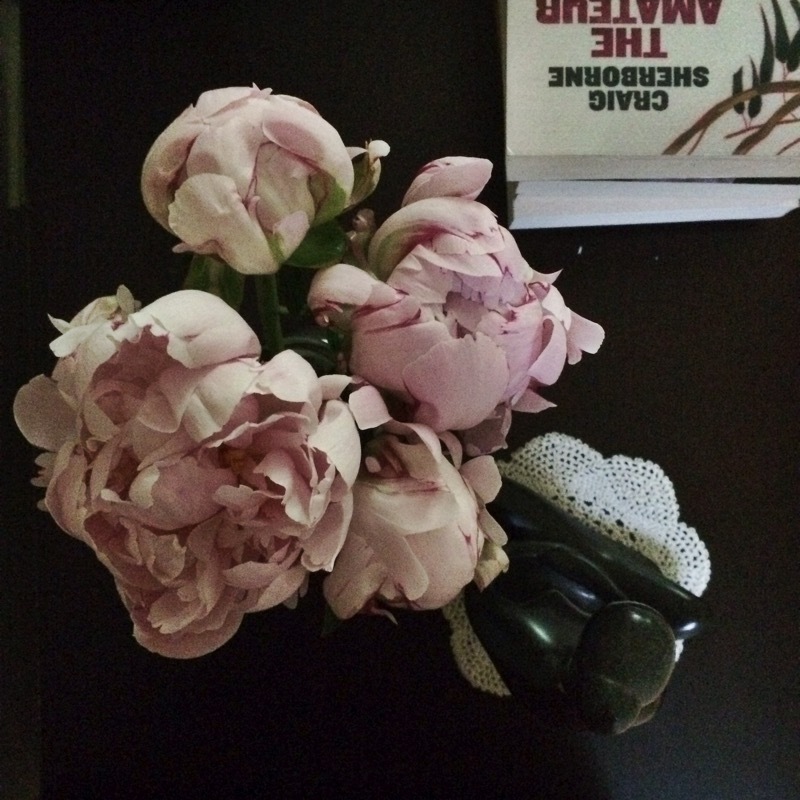 I’ve been returning the friendship favour recently and during the week she dropped in these peonies as a thank you. Not that she needed to! Aren’t they just gorgeous? 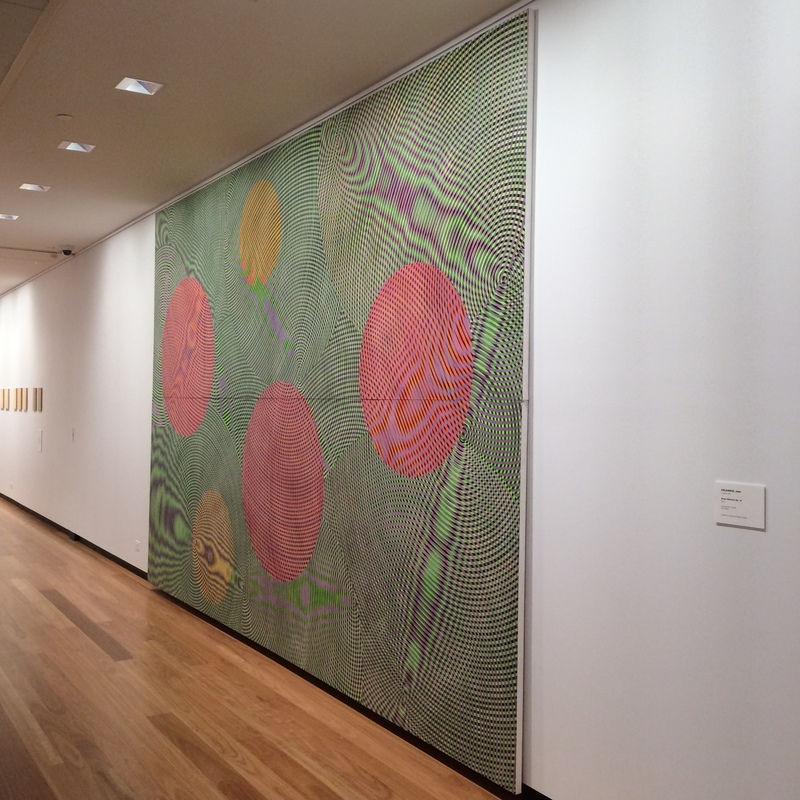 I read about this exhibition in The Age last Saturday. Then I read Jacquie’s post about her friend’s exhibition. They were both showing at the Hawthorn Arts Centre, not far from home, so thought I’d pop out and see both of them. John Aslanidis’s work encapsulated for me the tagline of the exhibition, The Audible Image. You could hear the sound waves vibrating with your eyes. That’s maybe a bit of a weird sensory explanation but I can’t think of another way to describe it. Jacquie’s friend, Lauren, repurposes objects she has found on her wanderings. 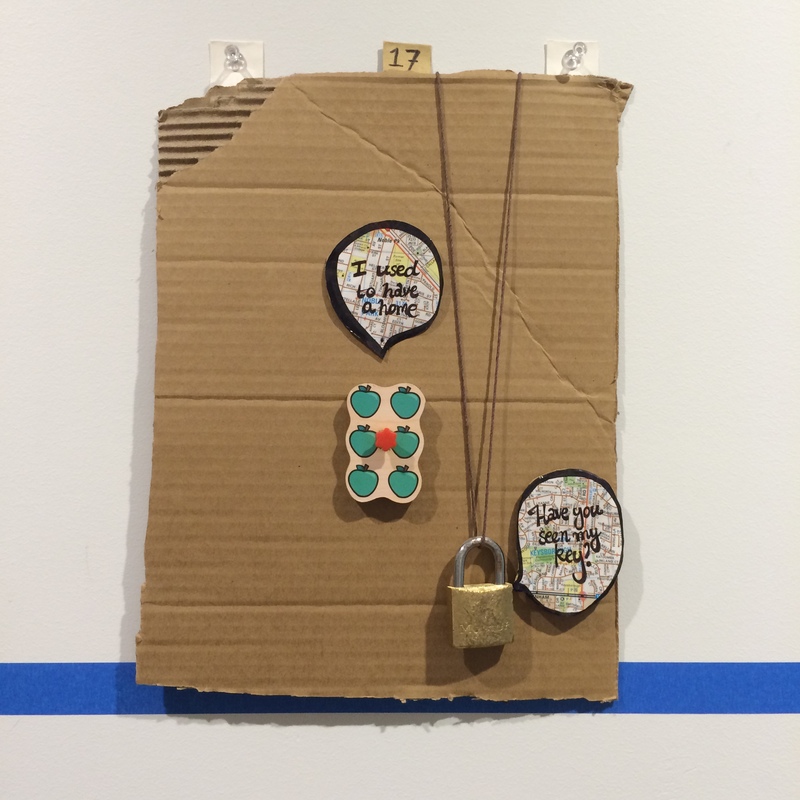 In her exhibition, she has hung them against Melways maps identifying where she picked them up. The one in my photo doesn’t have a map and I quite liked the sense of loss that it evoked. I felt a little bit sad for the discarded jigsaw piece! Aren’t we lucky to have community spaces where we can access creativity and inspiration right on our doorsteps? On Sunday, I had a lovely real life catch up at the NGV at Fed Square with some online buddies. I wrote about our first catch up here. This time Emily, Deanna, Annette, Karen and I were joined by Melinda who was visiting from the Sunshine Coast. We had a lovely time sharing our creative output – sketchbooks, art journals, jewellery making, knitting, peg dolls and novel writing. Books were shared around the group, pastries and bagels consumed. I feel so blessed to have these lovely ladies in my life. 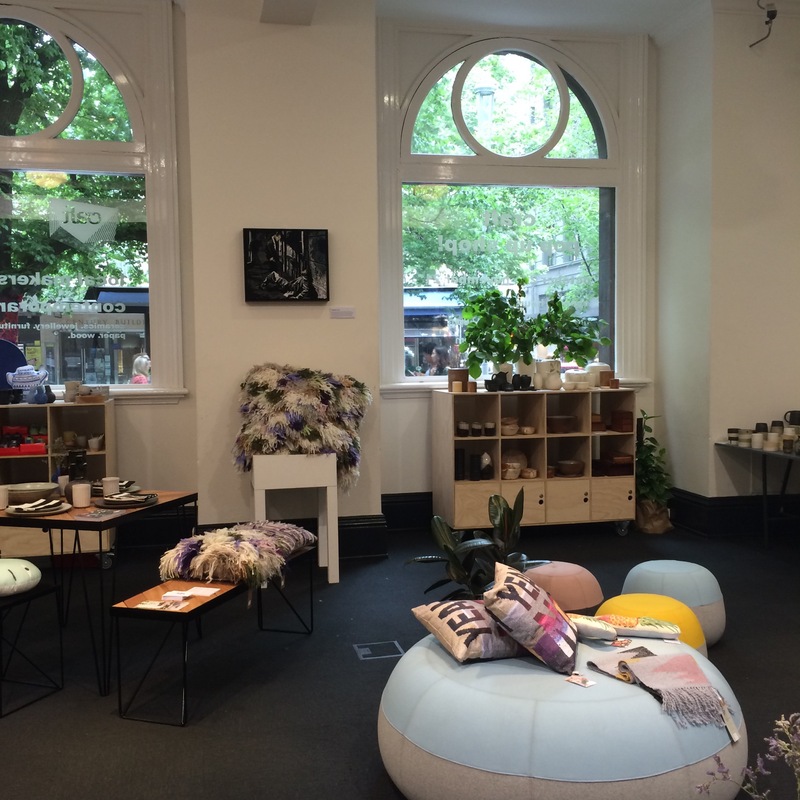 Afterwards I headed up to the Craft Victoria Pop Up Shop at the Melbourne Town Hall. I loved looking at the textiles, ceramics and jewellery made by some great crafty types. I thought that was a pretty perfect end to a creative day! And here’s a nice thing for Stephanie Bishop. I recently wrote a review of her book The Other Side of the World. I loved it! Well, it seems I’m not the only one. I read during the week that she has won the Readings Prize for New Australian Fiction. Well done to her, I say! So there are my week’s highlights. Have you had some nice things happen to you this week? Maybe you’ve had a chance to have a little bit of ‘me time’? Or perhaps time with friends has sparkled your heart? If you want to see what others have been up to, pop over to Isabel’s blog. Isabel’s blog is guaranteed to make you feel nice! How lovely, Carolyn! I love the shot of the scrapbooks and sketch pads from what sounds like a top group of girls 😉 Sounds like you had a fantastic time! I love me some peonies too. They are so delicate and pretty. How nice it is to have friends in your life that you can depend on and vice versa. Thanks so much for sharing my post about Lauren’s exhibition. I’m so proud of Lauren and her work – I think she’s done a great job. I agree re galleries and other amazing places that allow you to see some incredible work by very talented people. It’s all very eye-opening and inspiring, hey? They are indeed a lovely group! There’s a portraiture exhibition opening in the next week that sounds interesting so I might pop along to that too. Good to keep the mind ticking over. Your peonies are beautiful – I look forward to seeing a sketch! 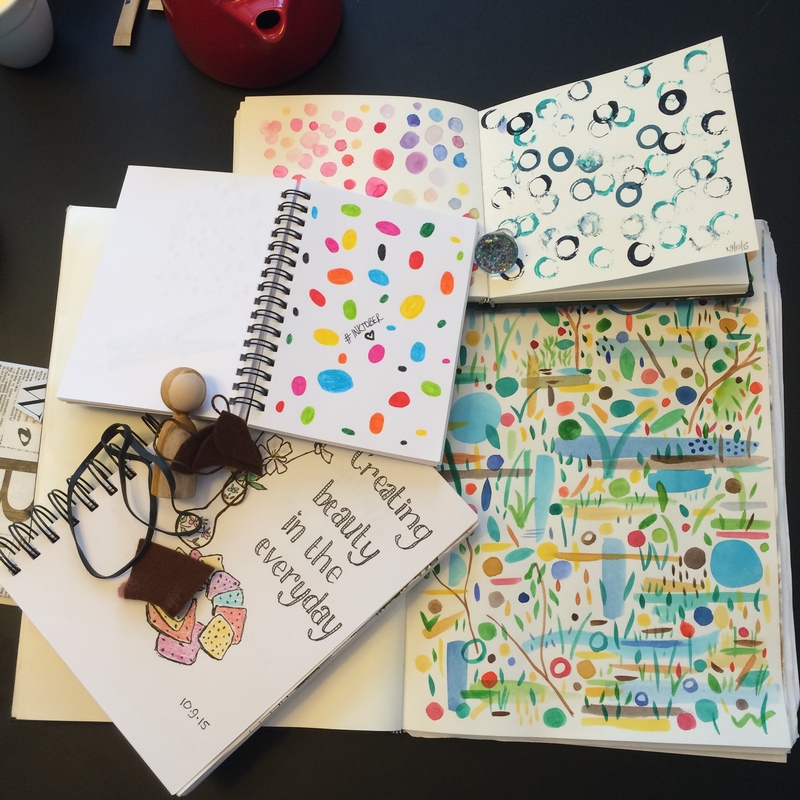 Thank you for a lovely catch-up – hooray for creative conversations and gorgeous sketchbooks! And they’ve opened even more now – quite stunning. Not sure about a sketch. Hope today’s writing has been successful for you! I don’t quite know how it has happened, Deanna! What a super week! Peonies are so pretty, my neighbour has them in her garden and every summer I snap some photos of them. I love the pile of sketchbooks, reminds me of how I make art, I can’t stick with just one book, so I always have a selection on the go at once! It is lovely that you can meet with people you originally met online, I am hoping to do the same with someone I ‘met’ on Instagram who happens to live in the same city as me. yay! They are a such a beautiful flower, aren’t they? They have opened up even more now. Stunning! It’s so lovely being able to translate online friendships to real life ones. Hope you get to meet your Instagram friend!